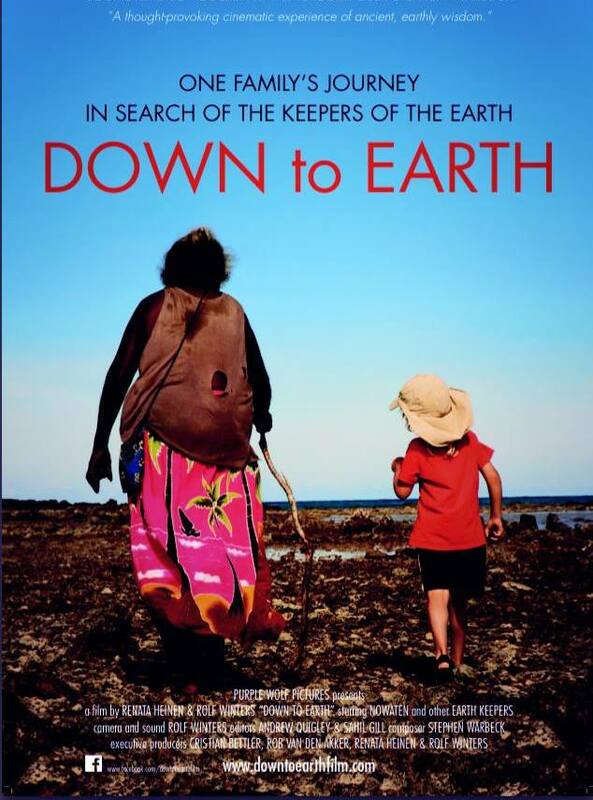 We’re thrilled to have heard from the Down to Earth Collective and they’re thrilled that their award-winning documentary, Down to Earth will be released in UK cinemas from September 14. But the good people of Exeter will have to wait till October 3 for Down to Earth to arrive at the Exeter Picturehouse. And they won’t get Mark Rylance either, who’s presenting the UK premiere at Picturehouse Central on September 11. But they will get an ‘introduction and an open dialogue after the film with the audience facilitated by filmmakers or Down to Earth ambassadors’. Down to Earth follows a London family, breaking away from society to find a new perspective on life. For five years, travelling six continents, parents Renata Heinen and Rolf Winters and their three children aged 10, 7 and 6 go on a journey of discovery to capture the wisdom of the ‘Earth Keepers’. They find indigenous communities who have retained a natural balance and live in harmony with their surroundings, far removed from the technologically focused cultures of today. There is no crew, no production team, just one backpack and camera each. Many of the ‘Earth Keepers’ featured in the documentary were hesitant to be on film but as the family lived alongside them, a mutual trust grew and they embraced the idea. Having lived in hiding for centuries, they saw that now is the time to step forward and share their insights with those who are ready to listen. Their messages portray a way of living that shares a clear and transcendent vision of life on planet Earth, unaffected by man-made laws. Oscar-winning composer Stephen Warbeck (Shakespeare in Love, Billy Elliot, Proof) said: ‘I have not come across a piece of work that so dramatically combines the personal and the universal. Down to Earth is a mirror to humanity, says the blurb, a poignant and timely reflection on our civilized world. The movie invites us to see the world through the eyes of the Keepers of the Earth. It takes us on an inner journey, connecting us with the source and the mutual path we are walking. Down to Earth is both a wakeup call and a resurgence of hope for our world to come. It is not just the launch of a film. It’s the launch of a thought, a vision for the future. The film has broken box office records in The Netherlands, where it was test-marketed, with over 170,000 viewers in cinemas and is currently the longest running film in cinemas ever (20 months ongoing). It has become a true movement: The Down to Earth Collective works with hundreds of educational institutions, corporates, charities and community organisations. In the UK the makers strive to do the same. In their mission to look after the next seven generations, the makers work together with sustainable brands like Weleda, Triodos Bank and Seventh Generation. The latter was acquired by Unilever just over a year ago. The Down to Earth team also actively guides the senior leadership of multinationals like Unilever whose aim is to become truly sustainable companies, using the film [and the wisdom of the Earth Keepers] to raise the bar. The film has won a Jury Prize at the Illuminate Film Festival, the Audience Favourite at the Spirit Film Festival and the Jury prize as well as the Audience Award at the Dutch National Education Film Festival. The film is now being piloted in the Dutch educational system. Down to Earth aims to inspire a fresh dialogue in society. By using an unorthodox model that includes a dialogue in the cinema at the end of each screening, audiences are invited to use the film and its messages in their own environments to ignite change. People are already responding to this ‘call to action’, showing that real change starts with us, individual human beings and our lifestyle and behaviours. The makers believe therein lies the solution to the big challenges we face in the world. Down to Earth is at the Exeter Picturehouse on October 3 at 6.15pm.